Probiotics are becoming increasingly popular in the United States these days. They are purported to have a variety of health benefits, including the improvement of gastrointestinal and immune system function. * I have recently become a fan of a non-dairy refrigerated probiotic drink called GoodBelly. My experience with this product has been extremely positive. I find that my digestive system operates more regularly and I don’t remember ever getting sick (i.e. cold or flu) while taking GoodBelly. * As always, I suggest that you check with a health professional before beginning any regimen of supplements, such as probiotics. ** Offer good to United States residents only. I haven’t tried GoodBelly, but have used refrigerated, capsule based probiotics with very little perceived benefits. Would be interested to hear about any additional benefits or differences between capsule and liquid probiotics. I would be interested in trying GoodBelly! I also have two relatives that could really benefit from it. 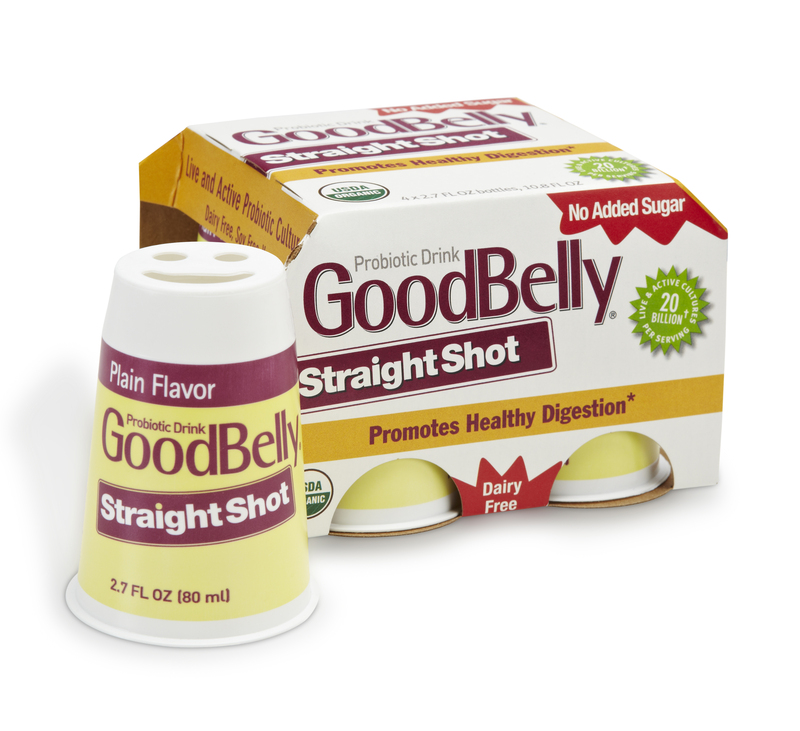 Would definitely enjoy trying the Good Belly probiotics – especially the shots as my digestive system could definitely benefit from a Good Belly Boost! Congrats! Vouchers are being sent out to the first 3 lucky respondents. Thank you for participating in the GoodBelly giveaway!! This is great stuff. great way to get your probiotitics and NO dairy products required. not to mention they taste great! Absolutely agree. The “Straight Shot” is the most affordable and is often on sale at WHOLE FOODS.